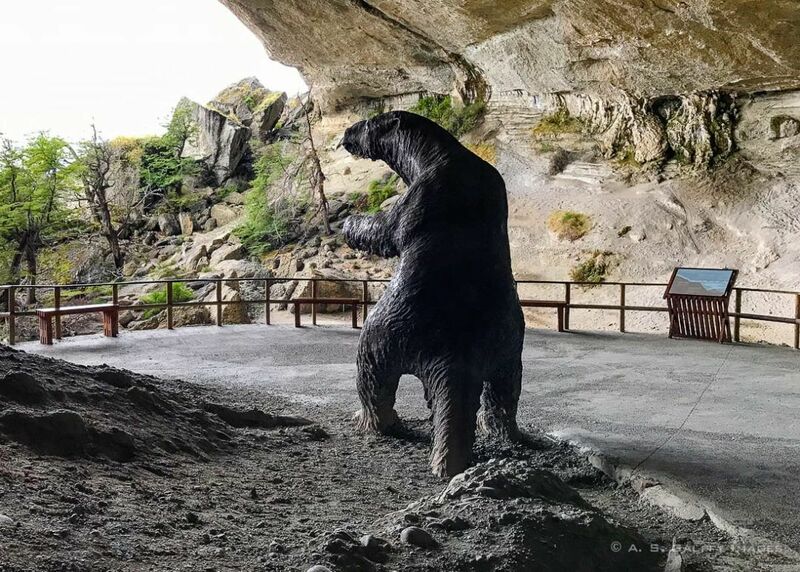 About 25 km north of Puerto Natales, on the road to Torres del Paine National Park, lies a pretty unusual cave: Cueva del Milodon (the Mylodon Cave). This is not a cave in the manner of Mammoth Cave, or Carlsbad Caverns. There are no flowing streams, or mineral formations, like stalactites and stalagmites. Cueva del Milodon is rather a big indentation in the mountain created by receding glaciers. From the outside the cave looks like the rest of Chilean Patagonia – massive boulders surrounded by forests and tall grass. But inside there are secrets from a prehistoric world. Secrets of a lost world of giant beasts that roamed these land in ancient times. It all began with a series of events that took place inPatagonia in 1895, when a German explorer – Hermann Eberhardt – made a strange discovery. He and a group of workers had stumbled upon a furry, red piece of animal skin in a cavern, while investigating this area. Due to its coarse fur and thick hide, Eberhardt realized this does not belong to any known animal that lived in the region; yet from its fresh appearance, it seemed that the animal had died quite recently. The large skin was hung upon a tree as a curiosity. A year later, when Gustaf Nordenskjöld visited the region, he showed him the skin. Norenskjöld, who was a Swedish geologist and explorer, quickly guessed that the hide belonged to some extinct animal. Intrigued, he returned to the cave and unearthed more pieces of skin and bones which he sent back to Sweden, where they have been identified as belonging to the extinct mylodon. Fresh remains. Does the mylodon still roam Patagonia? The puzzling thing was that the piece of skin that Eberhardt discovered looked fresh, as if it had been skinned from a dead animal. It even had dried blood on its margins like it belonged to a living animal. To complicate things even more, a couple of years later an Argentinean explorer – Ramon Lista – reported an encounter with a “large, hairy red beast.” This stirred a lot of excitement. So could the ground sloth still be alive in some mountain regions of Patagonia? The native inhabitants of Patagonia –the Tehuelche– were asked for information on anything that might resemble a living mylodon. Several indigenes claimed that they recently encountered the creature. One even claimed to have shot and killed a ground sloth! Soon expeditions from several nations were traversing South America in search of a live mylodon. But some scientists who properly examined the piece of skin expressed their skepticism about a living mylodon. They knew that the dry, cold conditions found in caves could act as a perfect preservative. As the excitement began dissipating, even Lista himself acknowledged that the creature he saw was actually too small to be a ground sloth. But people still continued to believe in the ground sloth’s existence, even as late as 1902. Over the past century, scientists gathered lot of evidence concerning the mylodon. They concluded the mylodon was a large herbivore that went extinct over 10,000 years ago. But in the end it was the discovery of radiocarbon dating that eliminated any doubt about the mylodon’s disappearance. The fact that the giant sleuths no longer roam Patagonia, doesn’t make visiting Cueva del Milodon less interesting. On the contrary. Seeing this huge cavern that once offered shelter to prehistoric people, mylodons and other wild animals, is actually very exciting. The cave is pretty big: 200 meters deep, 80 meters wide and 30 meters high). Even so, walking around it doesn’t take more than 15 minutes. There is also a beautiful park around it that is nice to walk around. 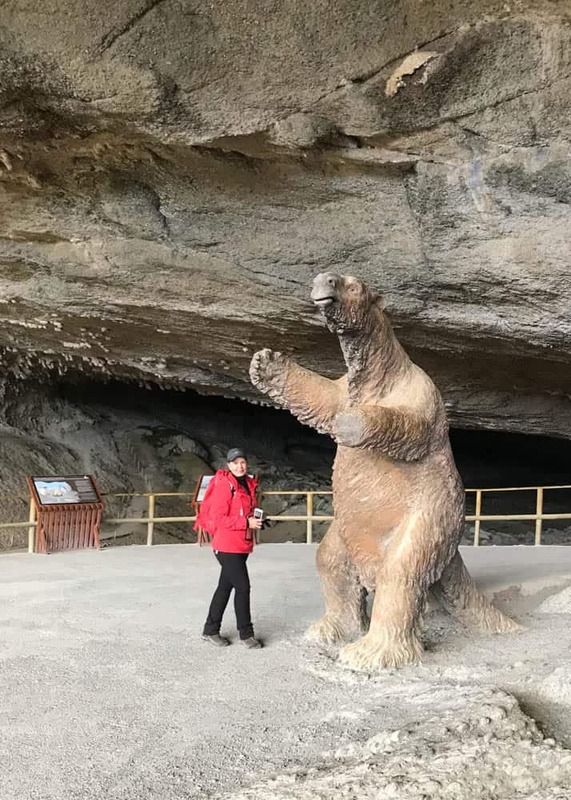 At the entrance there is a life size replica of a mylodon, which people like to take pictures with. 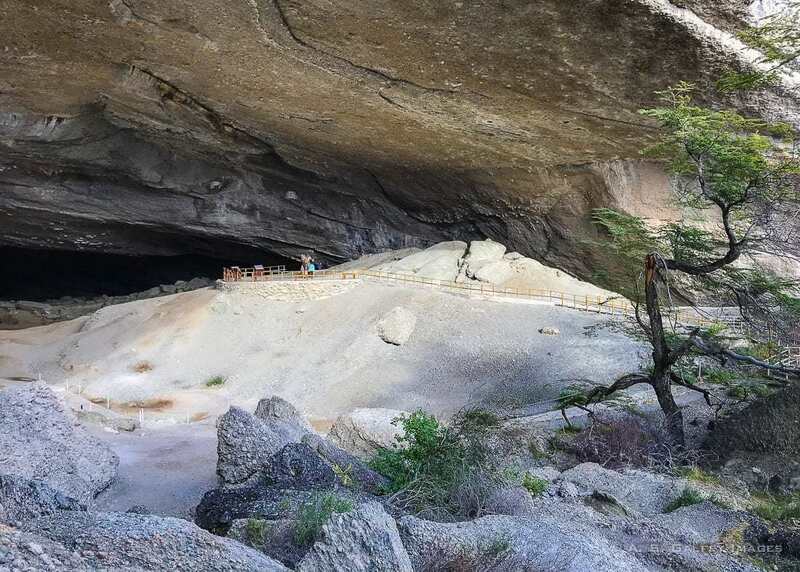 Visiting Cueva del Milodon is an easy day trip from Torres del Paine, so don’t miss it if you are in the area. How fascinating Anda! I'd never heard of a mylodon before but I always enjoy those stories/conspiracies of once-thought extinct animals resurfacing. You hear a lot about the landscape of Patagonia but these kinds of stories are just as enticing. Can't wait to visit the region one day! 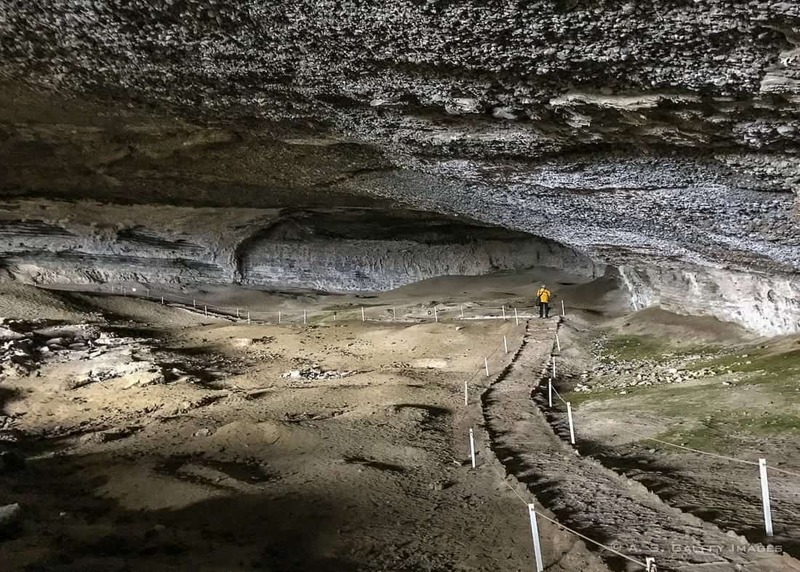 This is the first time I am reading a post about the Mylodon Cave and seems like an awesome place to explore, Anda! I have learned so much about this cave just from reading your post. Is one day enough to see everything there? 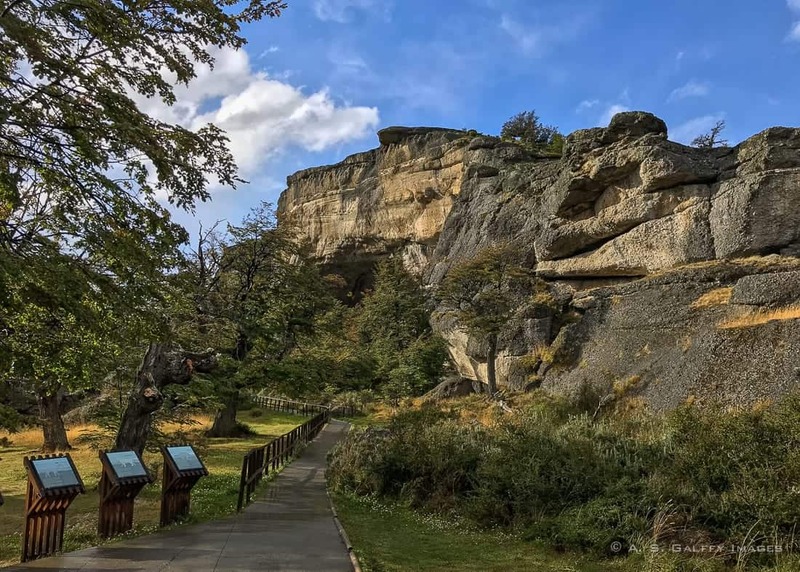 You don't need more than an hour in this cave, but the entire area can make a wonderful day trip from Torres del Paine, or from Puerto Natales. I would hate to run into one of these guys in real life! And I saw that you said they tried to domesticate them. That’s so scary. Lol it makes me wonder just how big were the people if they were trying to tame something that size. This hooked me and I had hope you would say they still existed! This history of explorers over history made it really exciting to read! Would love to be able to pin this! I actually didn't know that glaciers could create caves, that is really interesting. And the sloth sounds almost like a Nessie (Loch Ness Monster) mystery. Sounds like the cave is really a must visit! I think the fact that the giant sloth is extinct is actually a real plus for visiting Patagonia. Imagine coming across that guy in the middle of nowhere. Scary doesn't begin to express it! It's amazing that the fur was in such good condition after the sloth's extinction. Perhaps the Tehuelche were trying to pull the "wool" over the explorer's eyes. And, if it was a sloth, could you escape it swiping at you by stepping out of it's way? Hahaha, who knows, Rhonda. Truth is that I wouldn't have liked an encounter with this beast. Although, from all I've read, it seems the prehistoric people who found shelter in this cave were trying to domesticate these animals. There were traces of cages and dry grass in the place where they found the mylodon's bones. How interesting! I didn't know this existed but I'd certainly like to visit it. A mylodon? Who knew?